Liquid Image has a new action cam coming out in June. It looks very not-unlike a GoPro. It shoots 1080p video at 30fps or 720p at 60fps. Nothing so outstanding there. What's unique, though, is that it'll attach to a 4G module. In other words you can instantly stream video from anywhere. That means your friends can watch you faceplant in realtime. Fantastic! We just got our hands on an early prototype, though we were told the final version should look much the same. It's very small and very thin and the camera itself will only run you $200. That's about right, considering its specs. If you want to go 4G, though, you've got to plug it into a fairly large case, which will run you another $200. At launch it will only work with Verizon's network, though they'll be releasing other modules for other carriers shortly afterwards. Obviously, you'll be responsible for data charges and what-not, which could cost you a pretty penny, but maybe it's worth it for instant glory. 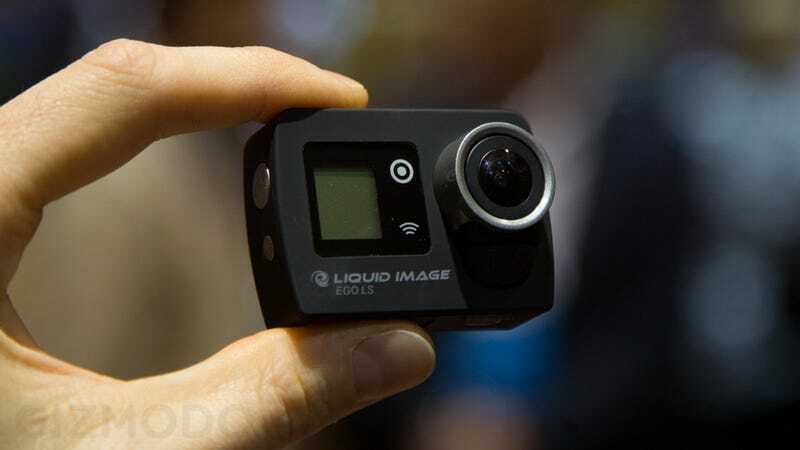 Basically all action cameras have build in Wi-Fi and smartphone apps, so it's not like we have to wait too long to get our videos up, but the idea of broadcasting a mountain bike run as it's happening is certainly very appealing. We'll definitely be putting it through its paces when it's released in the middle of this year.